Characteristics and processing differences of the four kinds of cutting tools? Plain Milling Cutter is the most commonly used tool in a horizontal milling machine. Plain Milling Cutter’s shape is like disc or cylindrical, which has blades on the outer circumference of the cutter for milling the plane which parallel to the cutter axis. The blade shapes include straight and helical blade-shaped. 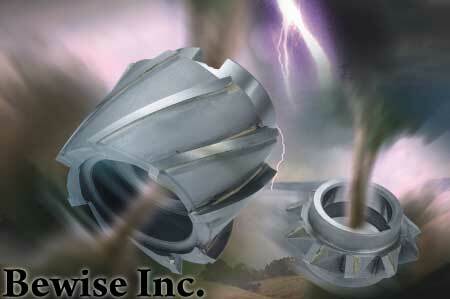 Generally helical blade shape is more commonly used. If the blade width is less 20mm, it is only suitable for light milling and milling hard materials because of its multi blades and small chip slots; if the width is over 20mm, it’s often designed as helical teeth in order to reduce the shear force and prevent vibration during milling, with fewer blades, so the chip slot is larger which is suitable for heavy milling and cutting soft materials. Such cutters have a flute in the circumferential surface and the end for milling flat, face, shoulder angle and groove .There are straight shank, taper shank, straight flute, helical flute, double flute, multi-flute, and so on. 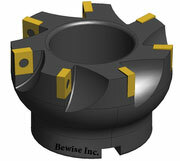 The shape of the side milling cutter is similar to the straight flute face cutter. Except the shape and function of end mills, its side also has cutting edge, which can milling the face and the side of work piece. Edge shape can be divided into straight teeth, spiral teeth and staggered teeth. Staggered teeth may be offset against each other and reduce vibration during machining, which is suitable for heavy milling. 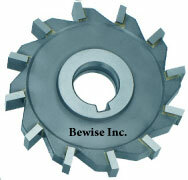 Face milling cutter is a disc-shaped, with cutting blades around the body and the side face. Such cutter is specialized in cutting larger plane. The blade face is wider, and the cutter body is made of general tool steel, then embedded high-speed steel or carbide blade. 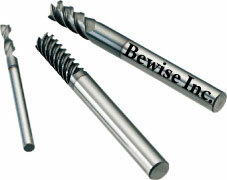 Bewise Inc., being a professional manufacturer of various cutting tools, is endeavoring to make excellent products. We are very experienced in custom-made tools, and good at solving customers’ problems when they meet difficulties and troubles. Through everlasting research and practices, we understand thoroughly about different materials of cutters and cutting tools. 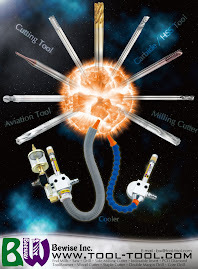 BW's popular products for tool series including circular saw, carbide cutting tool, saw blade, wood saw blade, special tool,side milling cutter, …etc; For machines we have spiral tube cooler, cutter grinder, and the latest design and advanced powder forming machine / pelletizer. 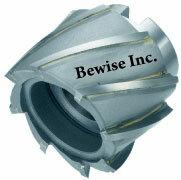 Bewise is a superior manufacturer and supplier of cutter production and machinery industry.